There is a serious danger that we may just have lost our last excuse for having so many dogs. 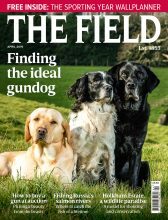 Up until now there has really been no answer in Britain to the argument that we need our traditional labradors for sitting on the peg and retrieving; springer spaniels to do the beating and dogging-in; pointers and setters for all grouse work; and cockers because… well, we just have to have them. But as far as Europeans are concerned this is the shooting equivalent of not inventing the wheel, and typical of our national tendency to over-man  or, rather, over-dog. Instead, the Continentals propose just one dog for all the different shooting roles and more besides, such as trailing wounded deer or just looking good lying across the baronial hearth. This so-called wunder dog is the hunter, pointer, retriever (HPR), and one breed specifically: the German shorthaired pointer (GSP). British shooting folk came across GSPs when stationed in Germany just after the Second World War, and started bringing back the first imports as they returned home in the Fifties. The breed has gradually gained popularity since then, especially among grouse keepers, who value the fact that they can use GSPs to count grouse and to point for guests walking-up as well as for retrieving on driven days. Mean-while, on lowland shoots in the south of Britain, the labrador has remained the universal dog of the 20th century. But what about this century? Various different European HPR breeds are now being worked successfully on shoots from the Westcountry to the Midlands to Kent. So what is all the fuss about? Why are GSPs, Hungarian vizslas, Weimaraners and the like suddenly appearing on our shoots?  The German Shorthaired Pointer Association (GSPA) invited The Field to its pointing test at Blenheim to watch the dogs at work and discover whether the GSP is indeed the foremost candidate for the title of 21st-century gundog. Pointer judge Alan Hender was quick to explain that HPRs are not just about the GSP: We are lucky in that there is really a breed for everyone in the HPR group overall, and we have a good selection that is being worked and trialled regularly. There are about a dozen different breeds of HPR  not just the better known ones such as the GSP, the vizsla and the Weimaraner. There is also the Brittany, which used to be considered a spaniel but is an all-round dog. Oddly enough, pointing breeds may owe their development to the armed forces as far back as the early 18th century when British officers, returning home from the War of the Spanish Succession (ended by the Treaty of Utrecht in 1713), brought Spanish pointers with them. The German strain started development at about the same time, with three being recorded at the Sondershausen kennels in 1714. By the 19th century the new breed of pointers was highly valued. Colonel Thornton sold his Dash to Sir Richard Symons for: one hundred and sixty pounds worth of the best champagne and burgundy, a hogshead of claret, an elegant gun and another pointer  an absolute fortune in todays money. At the same time, in Germany, Prince Albrecht zu Solms-Braunfels was setting down regulations for the breeding and testing of the modern German HPR, with the rule form follows function still used today. Because of their long-striding gait, stamina and wide-ranging style of hunting, all the HPR breeds can pose a fitness challenge for their handlers. Jo Izard from Canterbury, who works GSPs, says: You do have to be prepared to run, especially when you are training, because they are so keen. GSPs have an easy temperament and they are good at home. My husband has labradors, and the GSPs arent quite so straightforward but they are the Ferrari of dogs. They are also very versatile; I use mine for picking-up and for beating. We have a small shoot at home and the dog has to be able to do everything. It is all very natural to them. The quartering and the pointing is there, but you have to make sure they use the wind correctly. For Hender, the GSP is certainly the current title-holder among the HPR group  and to him that means among gundogs generally: GSPs are the universal dogs. My own have to be rough-shooting dogs, and able to cope when I stalk deer as well. They have the natural ability, movement and game-finding instinct that you want. By comparison, vizslas have the reputation of being a bit ploddy but now we are getting some good working lines into them, and I would rate them second best of the HPRs after the GSP. When you shoot over a GSP you dont have to sing its praises, its talent is obvious. But there will always be people who want an easy life, and their option remains the labrador, he says. When you watch it work and hear about its trainability and versatility, it is obvious that the GSP is a strong rival to the labrador  certainly in being a gundog that has the fewest drawbacks. For sheer lovability though, the Italian spinone is hard to beat: big, blond and shaggy, with gorgeous, doting eyes regarding you solemnly. But the ultimate dog of the century could well turn out to be the GLP. Larry Wilks had some wonderful points with his impressive GLP, Arthur vom Munsterschlag mit Arany. He explains: We imported him from Dr Thomas and Birgit Berns of Munster through the pet passport scheme. He is a joy of a dog. He is a big softy though he looks so powerful. With his size you would think he would be slow, but he is not. The Berns came from Germany to see him settled in and the first thing he did was point a snipe for them. Even so, that is a dog I would willingly give a hogshead of claret for  or should that be riesling? The Field attended the German Shorthaired Pointer Association (GSPA) Spring Pointing Test, which was held at Blenheim by kind permission of His Grace the Duke of Marlborough. For more information and details of other events visit the GSPAs website. A puppy list is held by the German Shorthaired Pointer Club (GSP Club). For details call Catherine Sellin on 01581 400253 or email her. You can also visit the GSP Clubs website. its website (available to read in German or English). For information about The Kennel Club gundog training weekends visit its website.